A Respected Scholar Introduces Students to the Discipline of Old Testament Studies Richard Hess, a trusted scholar of the Old Testament and the ancient Near East, offers a substantial introduction to the Old Testament that is accessibly written and informed by the latest biblical scholarship. 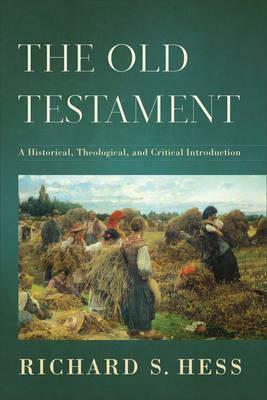 Hess summarizes the contents of the Old Testament, introduces the academic study of the discipline, and helps readers understand the complex world of critical and interpretive issues, addressing major concerns in the critical interpretation of each Old Testament book and key texts. This volume provides a fulsome treatment for students preparing for ministry and assumes no prior knowledge of the Old Testament. Readers will learn how each book of the Old Testament was understood by its first readers, how it advances the larger message of the whole Bible, and what its message contributes to Christian belief and the Christian community. Twenty maps, ninety photos, sidebars, and recommendations for further study add to the book's usefulness for students. Resources for professors are available through Baker Academic's Textbook eSources.